A man accused of stabbing a 51-year-old father on board a train in Surrey has denied murder. 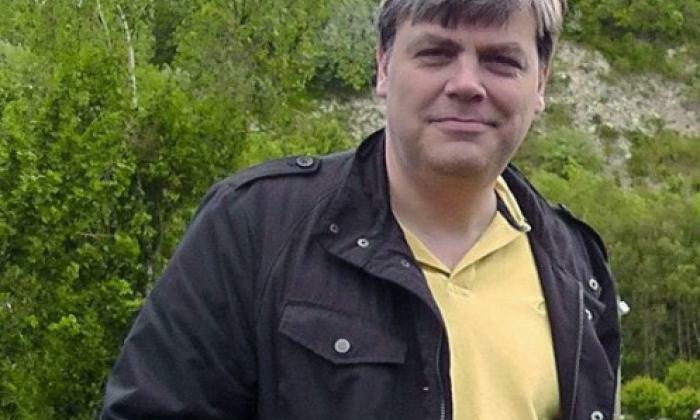 Lee Pomeroy was stabbed nine times on the 12.58 on a Guildford to London Waterloo service on January 4. A post-mortem examination found that Mr Pomeroy, who was travelling with his son at the time of the attack, died as a result of multiple stab wounds including an injury to his neck. Thirty-six-year-old Darren Pencille was charged with his murder and possessing a knife on a train at Guildford in Surrey. His partner, mother-of-one Chelsea Mitchell, 27, is accused of assisting an offender. The charge states that she took Mr Pencille back to her Farnham home after the murder, and purchased clippers and razors so that he could change his appearance. It is alleged she then made internet inquiries about CCTV in relation to the murder. The couple both denied the charges against them when they appeared at the Old Bailey before Mr Justice Edis today. Mr Pencille appeared via video link from Belmarsh prison while Ms Mitchell, who is on conditional bail, sat in the dock. Mr Justice Edis transferred the case from Guildford Crown Court to the Old Bailey and set a trial to start on June 24. It is expected to go on for 10 days.